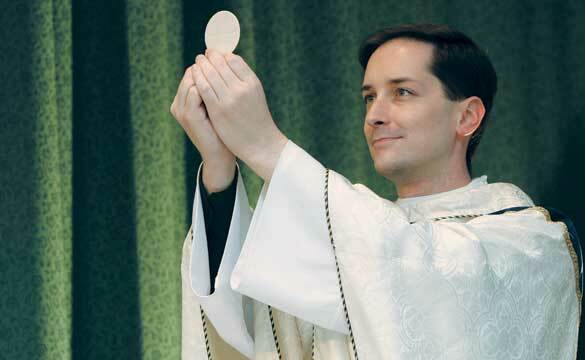 The Eucharist is the source and summit of our Christian life, for the Eucharist is Jesus himself. When we come together as a parish family to offer the celebrate the Eucharist, we enter into worship with all of the angels and saints in heaven, uniting ourselves to the perfect sacrifice Jesus offered on our behalf to his heavenly Father. At Transfiguration, we strive to offer beautiful worship to God, praying for ourselves and for the rest of the world. Nourished by hearing the Word of God and by receiving Jesus in the Holy Eucharist (if we are spiritually prepared), we are strengthened to go forth and courageously live and share our faith. "20 ways to get more from the Mass"